The Elderly are a very large and growing percentage of our population. It is often left to younger generations to care for their elderly loved ones and inevitably this usually includes some form of Assisted Living or Nursing Home. Placing elderly loved ones in a Nursing Home is often their best option for their care and comfort, however, it is important to stay informed because the Elderly can be at risk of experiencing Nursing Home Abuse or Neglect. If you suspect your loved one could be the victim of some form of Nursing Home Abuse or Neglect in Mount Pleasant, it is important to seek the help of an experienced South Carolina Nursing Home Abuse Lawyer. Although South Carolina Law requires those employed at a Nursing Home to report any instances of Nursing Home Abuse or Neglect, many cases go unreported. 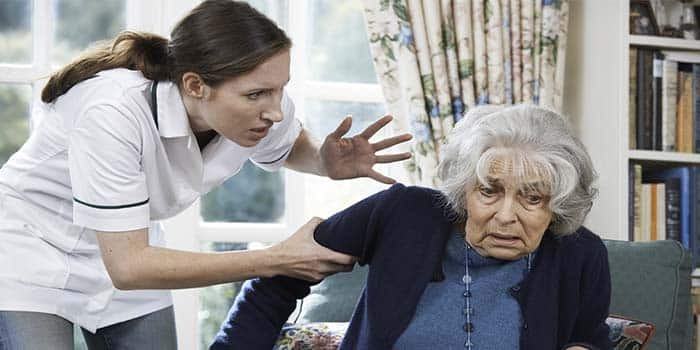 It often falls upon the family members to notice and report any instances of Nursing Home Abuse or Neglect. It is important to keep in mind that Nursing Home Abuse or Neglect includes physical abuse, emotional abuse, and sexual abuse. The elderly can also be subjected to financial exploitation. There are some common signs and injuries that you can look for if you are concerned your loved one may be a victim of Nursing Home Abuse or Neglect. The following list is not exhaustive so please contact an experienced South Carolina Nursing Home Abuse or Neglect Lawyer even if an injury your loved one has experienced is not on the list. The Elderly are one of our most vulnerable segments of our population. They can be physical frail and less able to protect themselves. Often times the elderly who experience some form of Nursing Home Abuse or Neglect are not in a position to report it themselves. It is important not to dismiss concerns of Nursing Home Abuse or Neglect because they only way to hold the abusers accountable is by reporting them. Reporting suspected Nursing Home Abuse or Neglect can save an elderly victim from long lasting injuries and even from death. An experienced Nursing Home Abuse or Neglect Lawyer will be familiar with the investigation that usually accompanies a report of Nursing Home Abuse or Neglect. Contact a Nursing Home Abuse or Neglect Lawyer to help ensure your loved ones rights are properly represented. Ensure your loved ones are treated with dignity and respect and are properly cared for in the place they call home.